Code repositories can give you lots of useful information about how you work with your code. 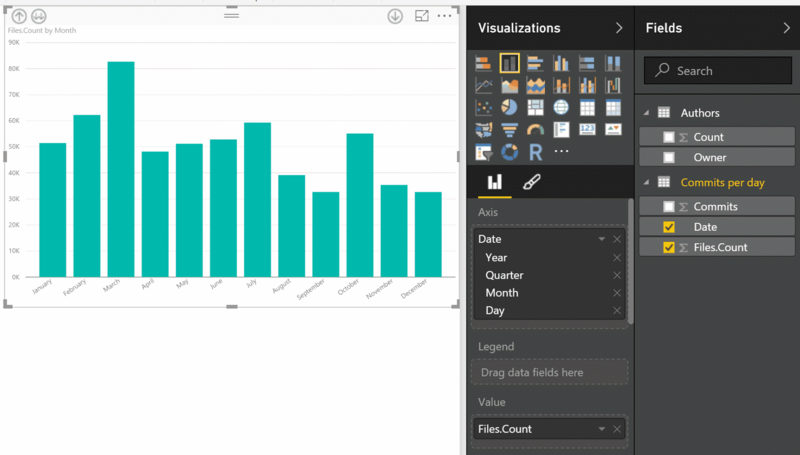 This post will explain how to extract part of this information and how to visualize it using powerful tools such as Power BI. Access to Plastic SCM from the command line. The Plastic SCM command line tool allows you to export all the information you need from the commits. 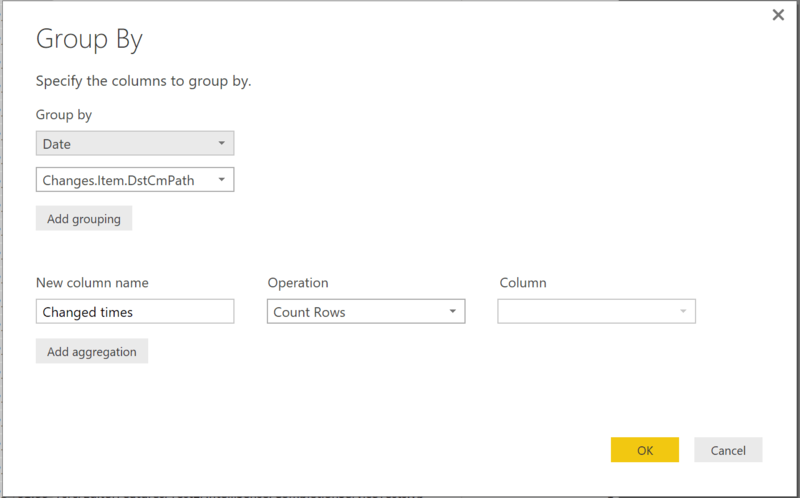 Unlike Git, Plastic SCM allows you to export logs in XML format so you can parse from Power BI without having to develop a parser. 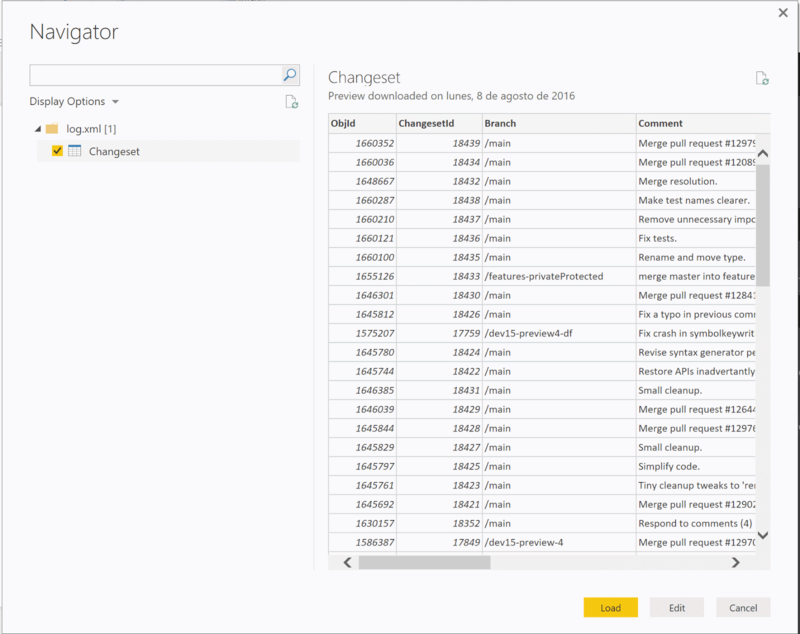 As you can see, every changeset contains its date, branch name, author, comments and every file added, deleted, changed or moved. Click the Get Data button. Once you have selected the file, Power BI Desktop will show you the Navigator dialog with a preview of the data. If it is a very large XML file, this will take a while. Check Changeset and load the data. Open the query editor pressing the Edit Queries button in the Ribbon. Rename the query from the left pane and name it as Authors. Click on the Group By button. 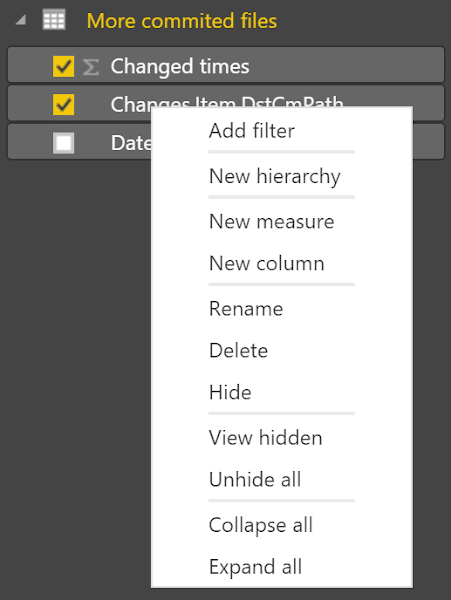 Notice that the new column name has changed to Count. You will use it later. After grouping by Author, you will get two columns: author and commits per author, so you can sort descending by the second column and get the top 10 authors. After these steps, you have your first query. 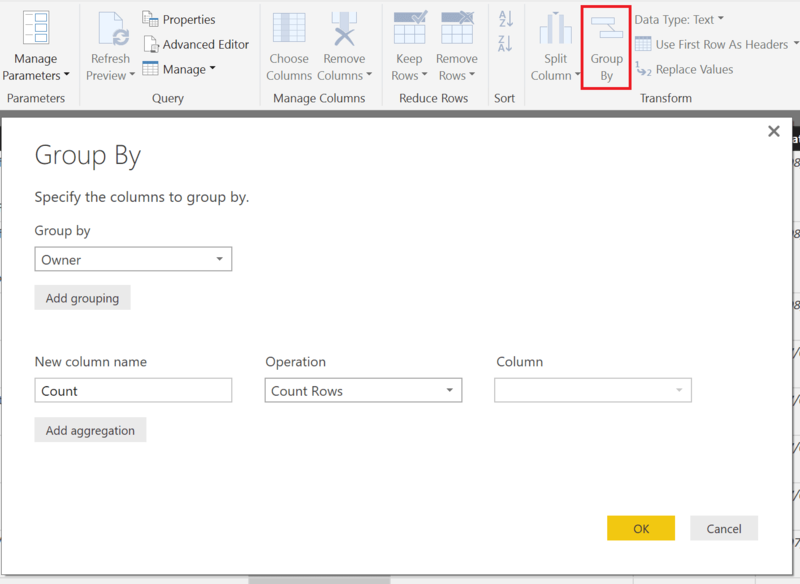 Click the Close & Apply button to go back to the Power BI Desktop main window and add a visualization. Select the Pie Chart visualization. This sample chart has something like a bug. Here there is duplicated user CyrusNajmadabi. This is because we have two owners CyrusNajmadabi and Cyrus Najmadabi. In this case, the difference is only one space, but in other cases there can be more differences. Open the Query Editor and select the Owner column. Select Replace Values from the ribbon and enter the name without spaces in the Value To Find text box and the fixed name in the Replace With text box. 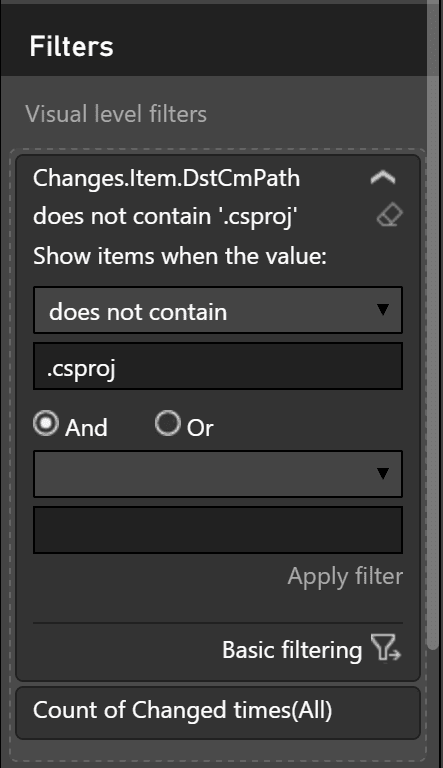 Drag and drop the Replace Value step before Applied Steps. Press Close & Apply in the ribbon. Now we have a pie chart with only one Cyrus Najmadabi as expected. Let's make another query to get commits with more files changed. 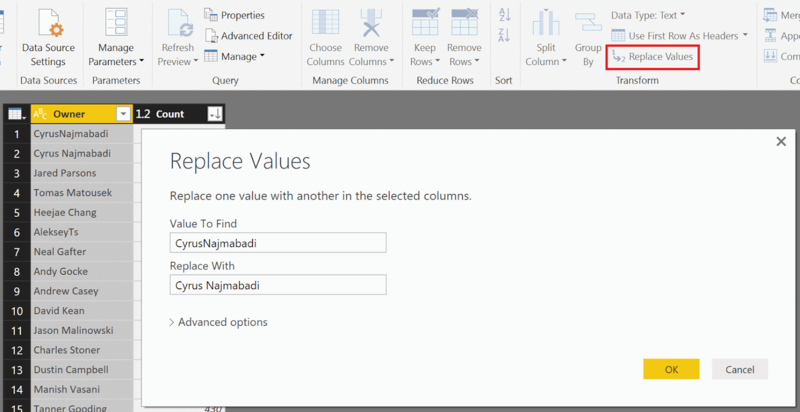 To do this, you need to open the Query Editor and create a new query or duplicate an existing query. 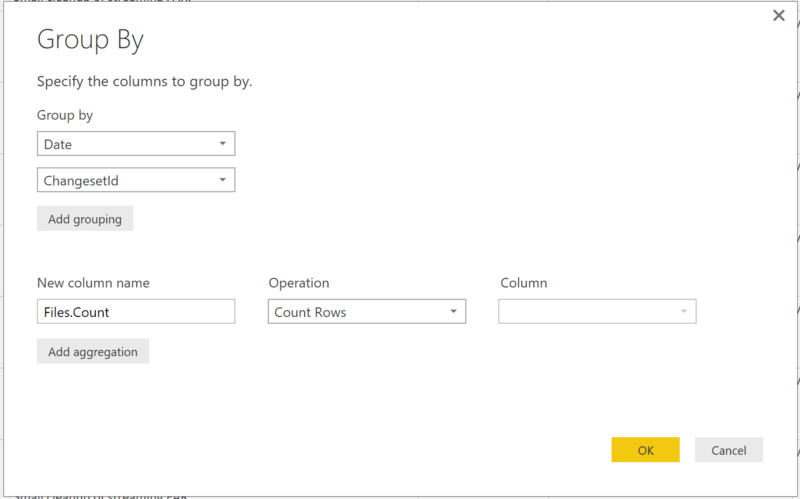 Both actions can be performed by clicking the right button in the Queries panel. If you duplicate the Authors query, you must remove all the previous steps you created in the previous example. Expand the Changes column twice. The first is to expand the item node from the XML and then another time to expand the information about every modified file. Group by ChangesetId adding a column to count files. 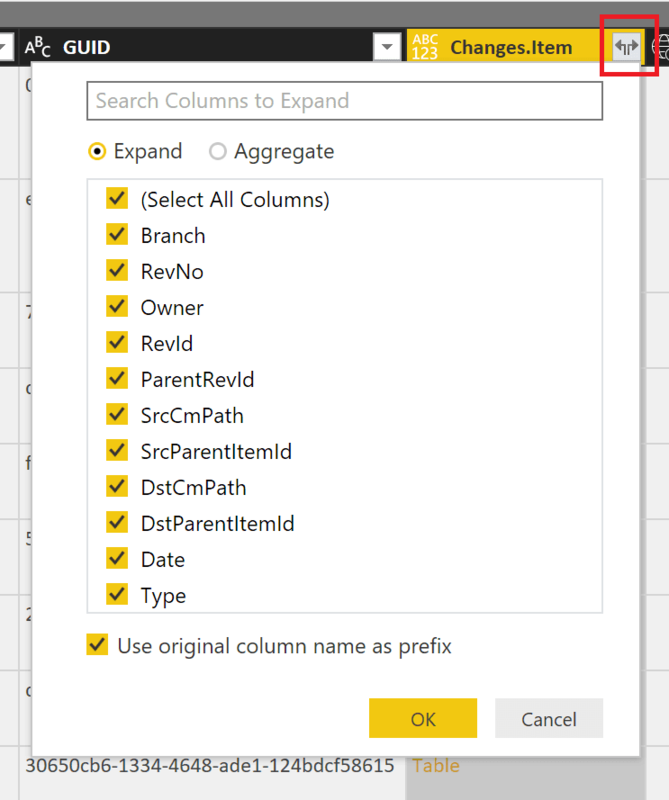 Power BI provides you with some features that will allow you to get a better user experience. 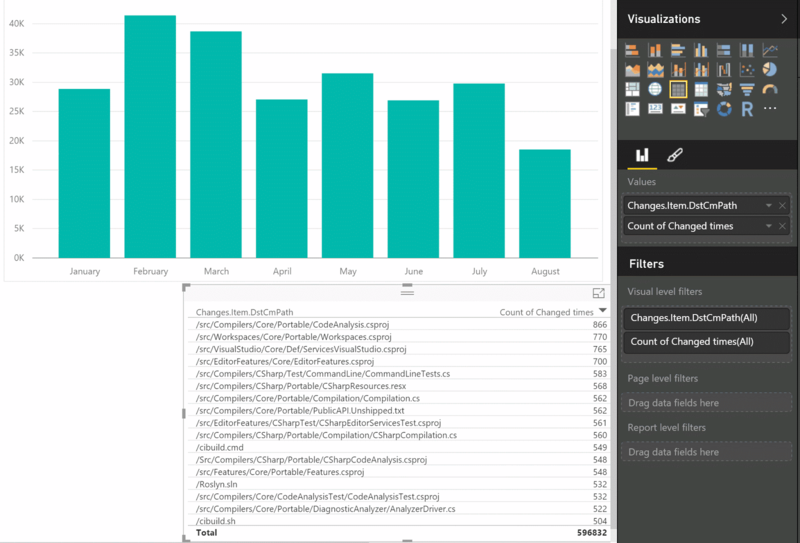 With tools like Power BI, you can create dashboards full of information about your repositories. 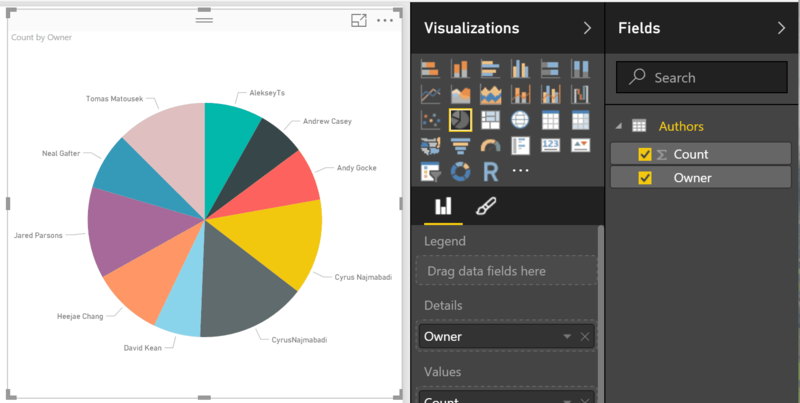 You can get all information you need; the only limitation is your knowledge about Power BI Desktop and its features. If you need something more powerful than the XML format, you can always put your data in a database so it will be easier and the performance will be better. Plastic SCM provides an easy method to export information in an easy-to-analyze format. If you want to do the same with Git, you will need to create a parser for its csv format or use a library like LibGit to extract the desired information. If you want to explore further on how you can go extract information from your repositories, we recommend that you read Your Code as a Crime Scene by Adam Tornhill. If you are a F# lover, Vicenç García Altés has some good examples about this topic explaining how to parse and extract information using F# and Git repositories.